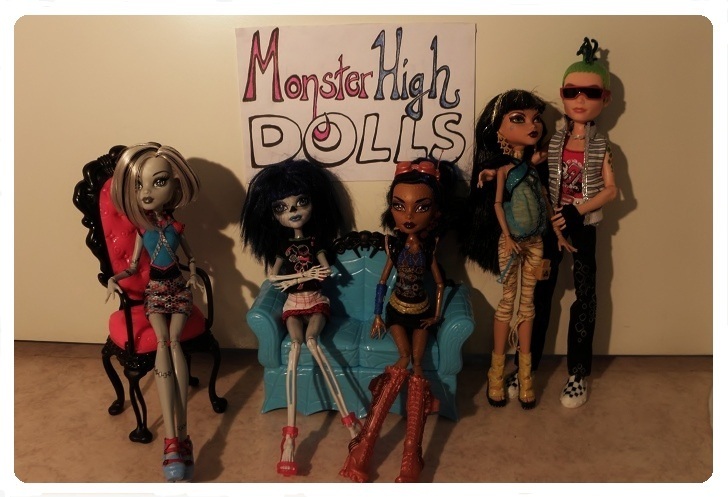 Monster High Dolls: Toxic D.
Hi! This is Hana and my first real post on this blog :D I'm going to show you my sixth doll Toxic D. original name Venus McFlytrap. Mostly her appearance and personality stay the same as the original Venus has, but there's some changes. Toxic is from Amazon and loves nature and protects it with every cause. Sometimes she takes measures to her own hands and it may hurt others. The vines that grow on her hands and legs are extremely poisonous to everyone else except to herself. Even if she cuts them off they grow back quickly. She isn't the easiest to get along with, but she tries to be nice most of the time. Toxics hair is wild with curls and braids. She has two tattoos one on her chest and other in right arm. She also has piercing on her right brow and both ears. I've modified her myself. I curled her hair with Elena's assistance, painted tattoos and earrings, lastly I pierced her brow. Clothes are mostly original, but the shirt is from Clawdeens fashion pack. I love my Toxic and her fierce style!